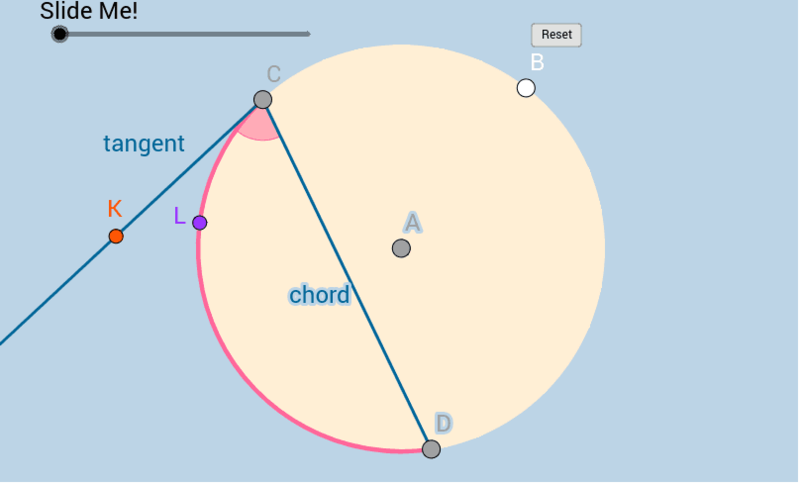 In the circle in the applet below, the pink angle is said to be an angle formed by a chord and a tangent. Interact with this applet for a few minutes. As you do, be sure to change the locations of the BIG POINTS each time before re-sliding the slider!